Stainless Steel Tension Springs - Corrosion-Resistant Reducible-Force Tension Springs. 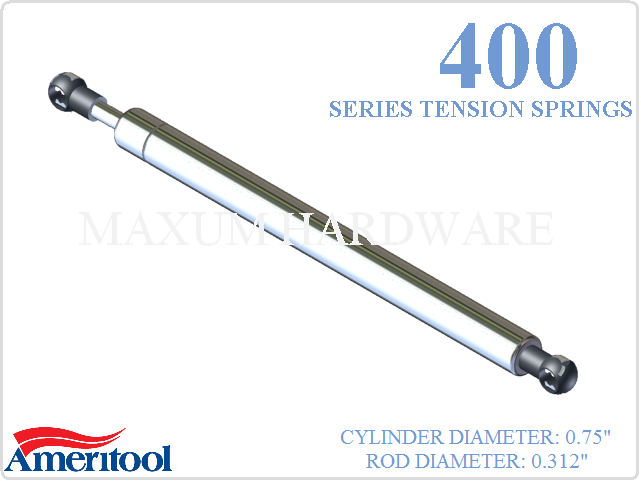 Maxum Hardware is proud to be an online distributor of Ameritool Manufacturing gas springs, dampers and tension springs. 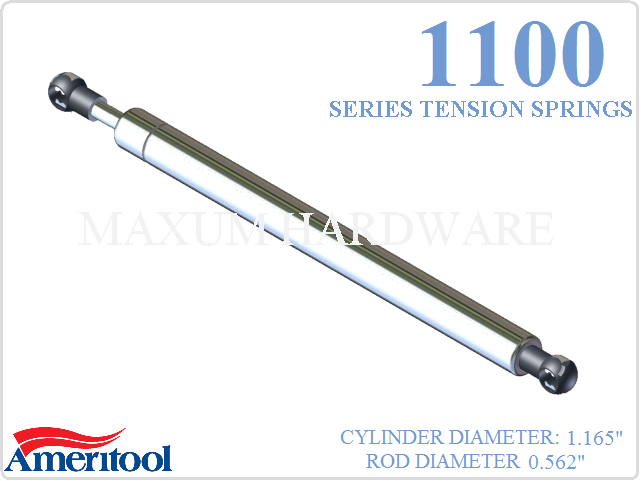 Ameritool Adjustable Force Tension Springs are made from 316 stainless steel. Just like the adjustable force gas springs the pressure on these can be reduced down by the user with no tools required. The force on these springs pulls the piston rod inward, operating in the opposite direction of standard gas springs. Great for use on doors, lids, hatches and hoods that need to stay closed or would use assistance while closing. In its relaxed state, the spring is compressed, you must pull to extend These units can withstand a wide range of temperatures from -40º F to 300º F. Order online now.